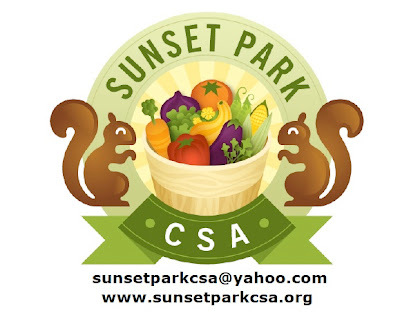 In addition to a working website for the Sunset Park CSA, there's more exciting news for those who wish to partake of non-pesticide, humanely grown and cared for, and fresh food: Optional Fruit and Egg Shares are also available! As per an email from one of the core members, a person must purchase a vegetable share in order to purchase the optional fruit and egg shares. The optional fruit and egg shares can be purchased separately (fruit or egg...). The website has the FAQ and the Membership Agreement as PDF downloads. You can also download the request form for the fruit or egg shares. The fruit is from a conventional farm, but the chickens are true free range - meaning they actually get to run around; they're not just offered a hole in the wall to leave if they so choose. See below for an excerpt about the optional shares.